It was announced earlier this month that Russia and Vietnam are planning for increased technology cooperation between the two governments. They are planning to share knowledge in the areas of education, science, and technology between the two countries. This was decided upon during the first meeting of the Russia-Vietnam committee, which congregated in Moscow the 5-6 November. 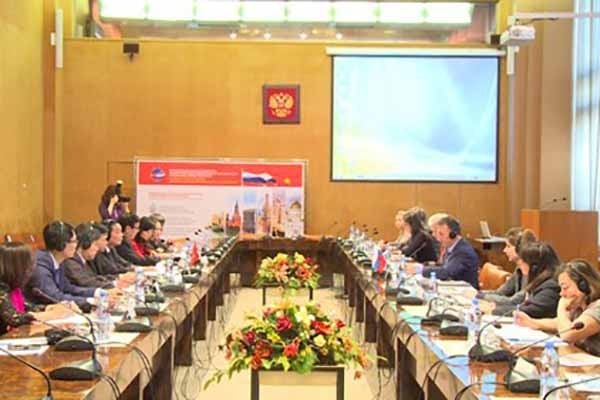 This meeting was co-led by Chu Ngoc Anh, Deputy Minister of Science and Technology, and Veniamin Kaganov, Russian Deputy Minister of Education and Science. Each of the leaders emphasised that this meeting was just the beginning of firming up a strategic partnership agreement within the areas of education, science, and technology. This agreement was initially made in 2014. The two countries are also looking to catalyse technology cooperation as they see great potential in working together. The two countries had first established diplomatic ties in the year 1950. Education, Science, and Technology have always been key areas of foci within the comprehensive strategic partnership, since its inception. Since 1950, the two countries have had amicable and collaborative ties. Each government expressed deep satisfaction in the outcome of their educational partnerships. They hope to strengthen these ties in years to come. Given this diplomatic focus, the Russian government has provided 800 scholarships to Vietnamese students for the academic year 2015-2016. They are expected to assign about 1,000 scholarships for the academic year 2016-2017. From opportunities to attend Russian Universities, Vietnamese students have gone on to serve their country, holding high positions in state owned agencies and educational institutions. At the conclusion of the meeting, each government settled on the particulars of the agreement and signed the minutes and working regulations of the Russia-Vietnam committee.